Mrs Athina Kontogianni, is a law graduate and holder of a PhD in civil law, marked as “Excellent”, conferred from the National and Κapodistrian University of Athens (Faculty of Law) with a state scholarship. She is member of the Athens Bar Association since 1999 and has long and solid experience as legal consultant to the Scientific Council of the Chamber of Deputies of the Hellenic Parliament and to the Ministries of (a) Justice, (b) Interior, Public Administration and Decentralization, (c) Public Order and Protection of Citizens. She has a strong academic interest on regulation issues and on European comparative consumer protection law, as well as a long practical affiliation with the field of public administration. She presents a rich publication record, especially in relation to Directive 1999/44/EC on the sale of consumer goods and to the alternative dispute resolution of consumer claims. 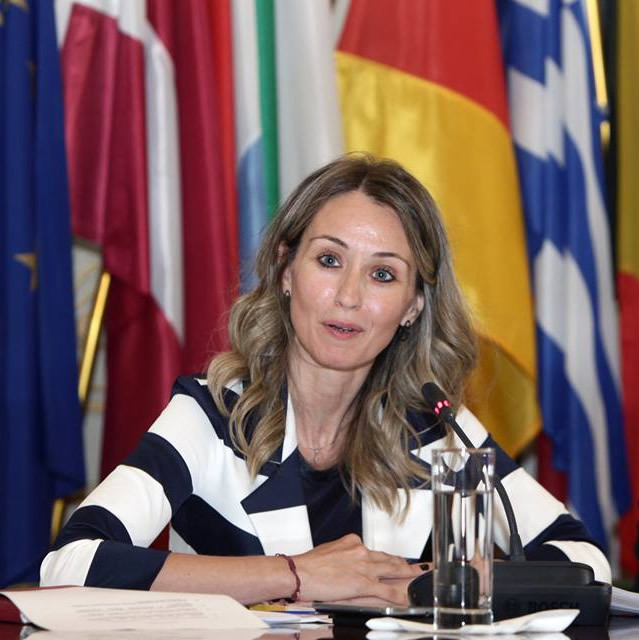 She has been appointed as Deputy Hellenic Consumer Ombudsman and as Director of the Greek European Consumer Centre since October 2014.